All nine city schools that were placed in receivership after they were identified as "struggling" and "persistently struggling" made significant improvement during the 2017-2018 school year, according to the State Education Department. The schools include: East Upper, East Lower, School 17, James Monroe High School, School 9, School 45, School 3, Northeast College High School, and School 8. This is the first year that all of the Rochester school district's receivership schools have shown improvement, says Carlos Garcia, a spokesperson for the district. Deputy Superintendent Elizabeth Mascitti-Miller: The next challenge: keeping the improvement going. "It requires making sure the schools have most intense level of accountability," she says. The schools do receive additional funding and they offer students extended hours of instruction, she says. Two of the receivership schools, Monroe High School and School 9, concerned school officials most. Monroe has 65 percent of its students who are English language learners and receive some type of special education service or instruction. And 50 percent of School 9's students are English language learners. But both schools still showed improvement, says Mascitti-Miller. Schools that are placed in receivership are initially under the superintendent's supervision. A plan for improving the school must be approved by the state education commissioner with specific goals that must be attained within an agreed upon timeframe. 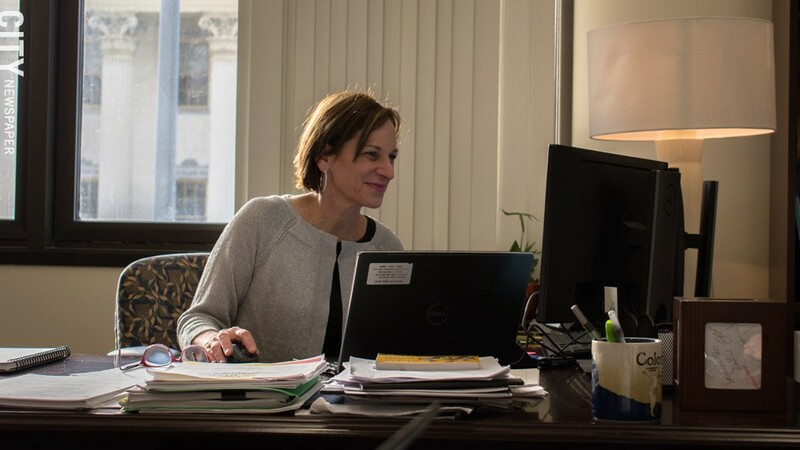 When schools don't make the required progress, the commissioner can place them under the supervision of an independent entity, which was the basis for the partnership between East High School and the University of Rochester. East was among the lowest performing schools in the state. The schools may also be closed if they don't improve.